Tony Oursler is a pioneer of New Media and video art. 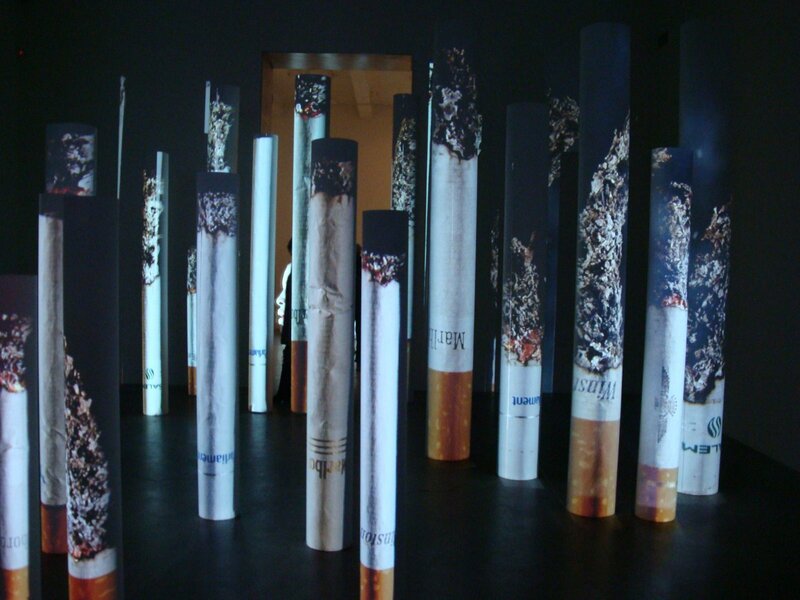 Metro Pictures presents a variety of new works, including this stunning Cigarette Forest, 6 foot tall columns upon which smoldering cigarette projections burn away. Other multimedia works in this show incuded issues on money (a giant talking five dollar bill), scratch lotto tickets, and gambling machines.